Hard to believe it’s that time of year again. The largest scuba diving expo in Indonesia is happening again! 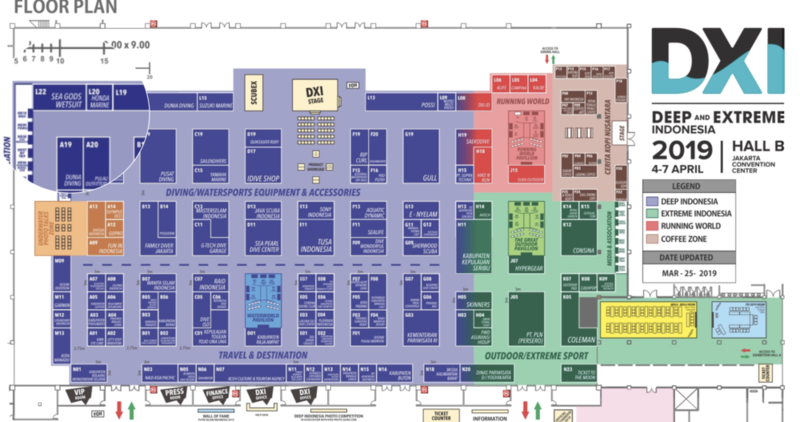 2018 was my first scuba expo ever, so why not go big on your first time?! During my Fulbright research, I needed to meet with a very important person from Wakatobi National Park, who will essentially be my contact person. He is a national government employee, who also happens to be one of the most experienced cave diver and instructor in Southeast Sulawesi. He was flying from Sulawesi to Jakarta for the scuba expo. He was the key stakeholder in my research…So I do what I naturally would do….BOOKED A SOLO FLIGHT TO JAKARTA. The map above shows how far both of us had to travel. Did you know Jakarta is about the same population density as Los Angeles? 10 MILLION people who live in and around the city. TIP: Indonesians are some of the nicest people ever. They have it deeply engrained in their culture a true sense of community. EVERYONE knows someone who is connect to another person who is almost always willing to help anyone in any situation. 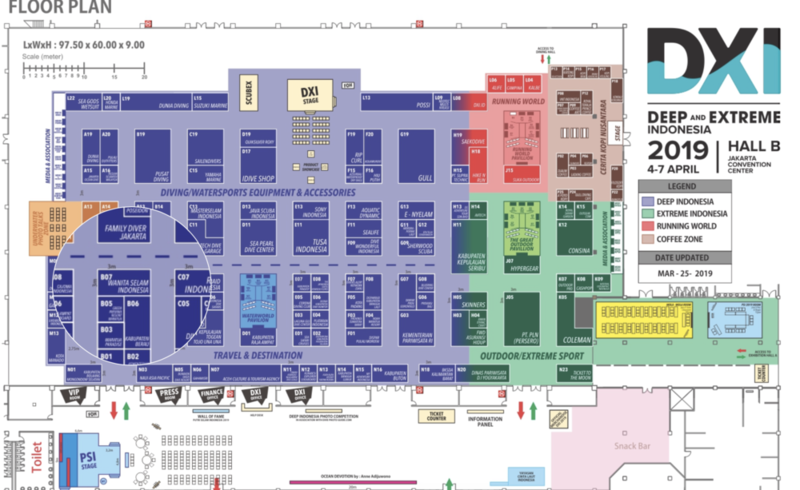 What to buy at the scuba expo? MASK - one of the first gear you should buy for scuba diving is your mask. -Before I started investing into equipment, I invested in getting Lasik eye surgery because I didn’t want to have to worry about contacts. (this was when I didn’t know they made prescription diving masks). Your mask is your only window to seeing underwater. 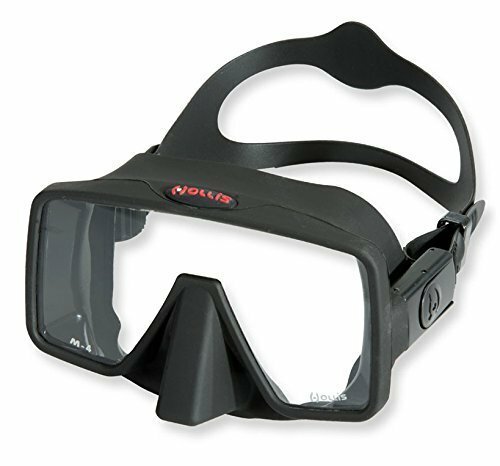 I chose the Hollis because a trusted dive master has the same exact one. SWIMWEAR - I scored a long sleeve one piece swimsuit made by Roxy that’s made from recycled nylon. It was so slick and kept me warm on night dives in Wakatobi. I also bought a bra like top piece from TUSA and it’s one of my favorite items to bring on a dive trip. It doubles as a bra like item and an extra piece to keep warm on night dives. DIVE PACKAGES - There were so many discounted prices for Raja Ampat, Wakatobi, Banda Islands, Alor, and basically all the magical places in Indonesia. Their deals were incredible for anyone who wants to take the stress out of planning. 2nd picture - Sea Gods Wetsuits, they’re based in Bali where they make custom made wetsuits. When I say custom, I mean everything down to color of the stitching. 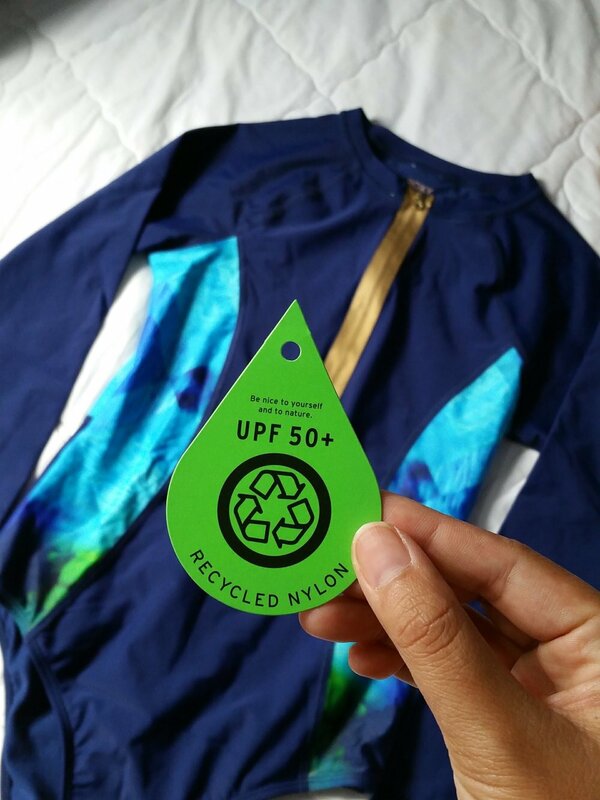 They are an Indonesian company, who also incorporates Indonesian batik patterns in their wetsuit creations. 3rd picture - Wanita Selam Indonesia, translation: Female divers Indonesia!!! Must stop by there to chat with fellow female Indonesian divers because community is everything. HOLLIS for the win because red is my favorite color. Before this scuba expo, I had about 30 dives under my belt. All the other times I went diving…I rented everything. I didn’t want to be bothered with carrying anything because I wasn’t diving regularly. 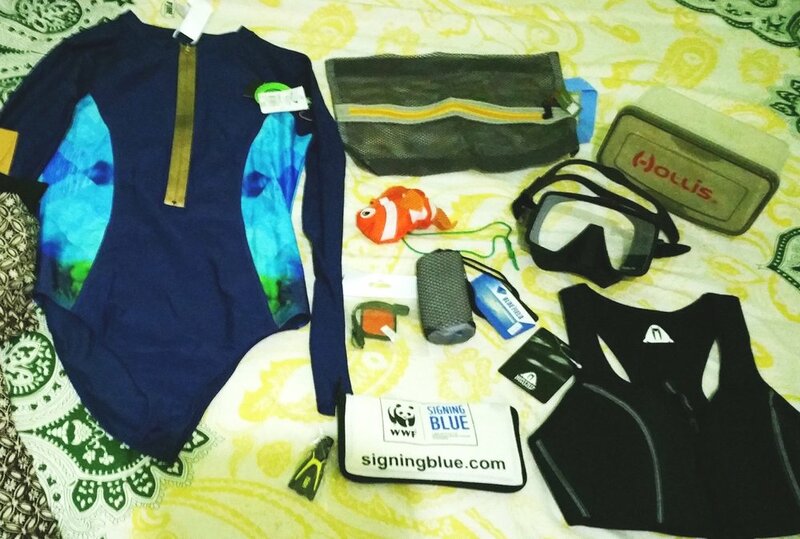 However,I was getting ready to go to my dream dive locations: Wakatobi and Raja Ampat. If there’s one thing about diving, you’re much more calm and safe when you’re diving with your own gear. You know exactly what features in your equipment and you know how to use it in the case of emergency. Comfort is queen and SAFETY reigns supreme. This scuba expo blew my mind. (not because of the unfortunate sexual referenced name) I was at HOME with all the vendors, the people, the energy. I was so excited to talk to like minded strangers. I got so much practice with my Indonesian as well. It was fun talking to Indonesian vendors and they mistaken me as an Indonesian because of my looks because my language skills definitely blew my cover. At the point, I had the vocabulary of an elementary kid. I still put myself out there and learned so much! This Hollis mask has firm silicone texture yet super soft and isn’t slippery on your face. If you’re in Indonesia right now, the Deep and Extreme scuba show is happening NOW! April 4-7 2019.